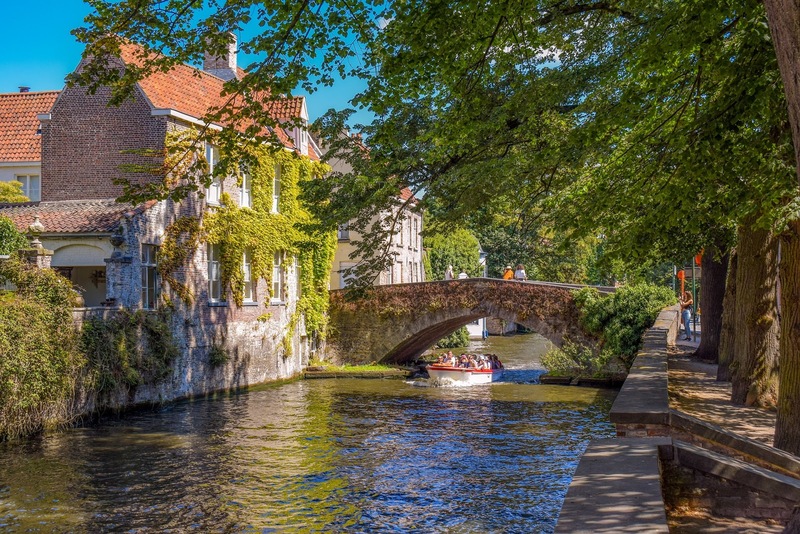 De "Peerdenbrug" is mentioned for the first time in 1392. 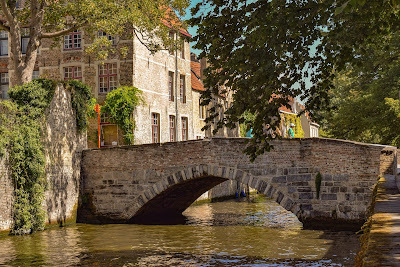 First it was a wooden bridge that had already been rebuilt in 1431. This bridge, like the nearby "Meebrug", was an important connection between the inner city and the adjacent suburb, the so-called "Braamberg". The current stone arch bridge dates from 1642. Next to the bridge, along the "Groenerei", a watering place for horses was built. From 1855 onwards the local residents worked hard to remove the watering place, which happened in 1862. She was then replaced by a stone parapet. The last thorough repair of the Peerdenbrug took place in 1952. De "Peerdenbrug" is a steep arch bridge and consists almost entirely of anchored brick, with the exception of the bluestone arc and cover plates. A narrow, stone staircase at the level of the northeast side is closed with an iron gate and gives access to the water. 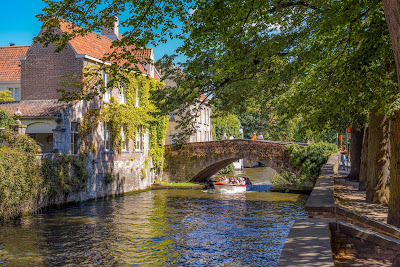 You can find the bridge at this address: Meestraat, Groenerei, Bruges.